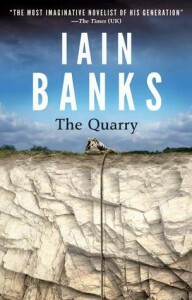 The Quarry, Iain Banks, Little, Brown, 2013, ISBN 9781408703953, 326pp. This is basically Banks’ version of The Big Chill: a group of college roommates meet up after many years to comment and reflect on their lives together and apart. Banks uses Kit, an OCD 18-year-old child of the oldest roommate, Guy, as the viewpoint character. Guy happens to be in the last stages of terminal cancer and into that mix, Banks throws in a macguffin of a videotape starring the roommates that each roommate would like to see destroyed, for their various reasons, but which Guy has lost or misplaced in the crumbling rooming house that he and his son occupy and which the others had lived in those many years ago. I call the videotape a macguffin because, while it ostensibly is the goal of all the characters, the point that the book actually revolves around is Guy’s dying, and the point that the reader can’t escape from is the knowledge that Banks, when writing this, was also dying of cancer. So, much more than in any of his other books, Guy becomes a stand-in for Banks himself, and when he rants against the unfairness of his lot, the divide between character and author gets mighty blurred. Along the way, Banks revisits themes he had previous explored in Complicity: the playing of video games (in this case a Warcraft MMO clone based loosely on the Matrix movies), drug and alcohol use (and abuse), and the battle of individualism vs. corporatism. And, as the roommates were all film buff and/or majors, a lot of movie references pop up. It’s a bittersweet book, intentionally so. 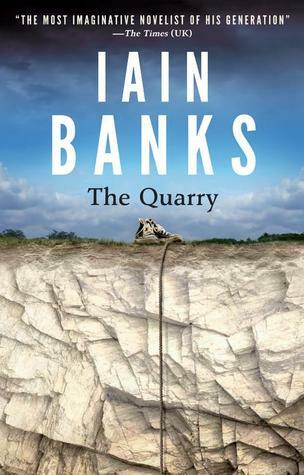 As a long-time reader and fan of Banks, reading it knowing that no more books will arrive from that source always lingers in the backbrain, but the ending is as good as an epitaph as can be had for someone who left us far too early.